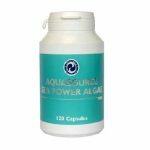 AquaSource Sea Power Algae is a combination of four different algae brought together to bring one of the most balanced and complete products out on the superfood market. Full with iron, calcium, and a myriad of other vital minerals and nutrients, Sea Power algae is an excellent daily addition to any dietary plan or lifestyle. 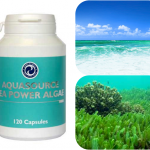 AquaSource Sea Power Algae is a combination of natural sea food – the place where life on our planet began. 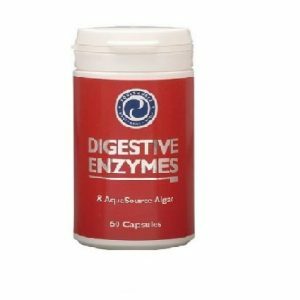 It provides a special selection of food nutrients, important for the good health and overall condition of the organism. This is a mix of three different types of sea algae: brown, red, and green, in combination with blue-green AFA (aphanizomenon-flos-aquae). Each of these species developed over millions of years and they grow in different places, i.e. they have adapted to many different conditions and climates, and contain a wide spectrum of nutritional microelements. Because of their simple structure, these plants are absorbed easily by the human organism. When combined, their nutritional profile becomes much more balanced, compared to consuming each one independently.Thus, this combination is exceptionally rich on nutritional content. The product contains whole, organic, dried plants, and not extracts, which could lack the balance inherent in nature. Red algae – Lithothamnion Sp. These organic algae are collected from the unpolluted bed of the Atlantic Ocean which is very rich in minerals. They contain lots of calcium and a wide gamut of other minerals and microelements. The red algae Lithothamnion Sp., which are a part of the coral algae family, are amongst the most enduring sea plants, living in the depths of the ocean. 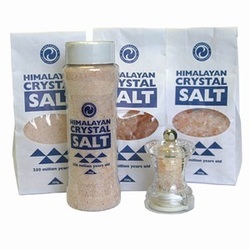 Minerals are very important for good health and are of crucial importance for the proper functioning of different tissue, bones, and organs in the human organism. For many years now, intense agricultural activity and the usage of nitrogen, phosphorus, and potassium, for the cultivation of crops for the purpose of expanding production, has lead to depletion of the mineral content in the soil. This leads to shortage and lack of minerals and microelements in agricultural production. Fortunately this imbalance is hardly of the same magnitude in the seas and oceans. The plants which inhabit them have natural ratios of minerals and microelements. This is why the algae are an excellent source of particular minerals and other important chemical substances. They are of simple set-up, one-celled microalgae, having appeared on Earth more than 500 million years ago. 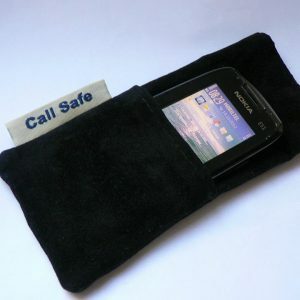 The fine cellular membrane makes them easy to absorb. Cultivated naturally, with no herbicides or pesticides in the clean, mineral-rich sea waters of Australia, their nutrient content is abundant. The strong ultraviolet sun exposure and the minimal amounts of rainfall ensure the ideal habitat for their development and growth. The Dunaliella Salina algae are famous for being the richest food source for the powerful antioxidant beta-carotene (precursor of Vitamin A). This is a dark-red pigment which protects them from the bright Sun. They contain over 200 times more beta-carotene than carrots. Note that beta-carotene is in organic form, from a natural source (the algae). This beta-carotene surpasses the synthetically produced beta-carotene in its antioxidant qualities. Other carotenoids contained in the algae are alfa-Carotene, lutein, zeaxanthin, and cryptoxanthin. On a weight basis, all the quantity of dried, organic algae DunaliellaSalina, used in the Sea Power Algae product (not as an extract, compared to most other supplements) are rich with chlorophyll, polysaccharides, minerals, vitamins and essential fatty acids (such as Omega-3, Omega-6, which are passed along the food chain to the fish). 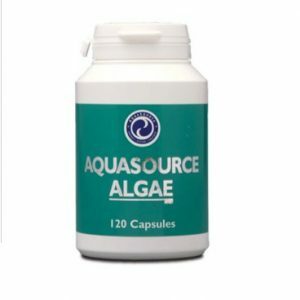 AquaSource uses only the best, organic, wild sea algae Ascophyllum Nodosum from Norway. From all “brown” algae, only those thrown out on the shore are richest with nutrients, in balance, due to the unique natural evolution of the Arctic. The brown algae along the arctic coast are considered much more nutritional than those growing in the southern parts. Only the alive, fresh, and wild plants are collected. They are then cleaned, air-dried, and immediately taken in for storage. Nothing is added nor extracted from them. Collecting them does not deplete the natural resource because they grow back again. This is done every summer amongst hundreds of islands, spread not far from the Laplandian coastline of Norway. A gram of sea algae gathered from the Arctic Ocean, and inherent in the AquaSource Sea Power Algae, contain 200 times more iron than beetroot leafs – the richest in iron vegetable cultivated on land. They contain a 100 more times iodine than any other land vegetable and around 14 times more calcium than cattle milk. As the basis of the food chain, the blue-green algae have survived on the planet for billions of years. These wild algae grow in the Upper Klamath Lake, formed as a result of volcanic activity, making them rich on minerals. They are a perfect completion to the rest of the algae within the Sea Power Algae product. Per gram of weight, the Aphanizomenon-flos-aquae algae are a rich source of a wide gamut of nutrients, including protein (containing amino acids in a ready and absorbable form), minerals, vitamins, antioxidants (including carotenoids), chlorophyll, phycocianin (a rare blue pigment), essential fatty acids and other chemical substances important for good brain function and performance. AFA has a fine cell wall, thanks to which, the nutrients of this significant and wholesome food are absorbed easily by the organism. 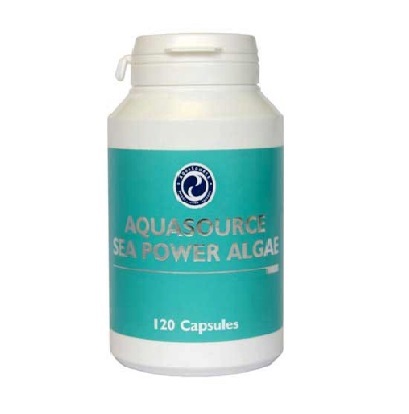 The product Sea Power Algae provides an appropriate combination of carefully dried, wholesome algae, from an organic source.